Yokogawa Corporation of America was selected by Shell as a Main Automation Contractor (MAC) vendor for its upstream projects in the Gulf of Mexico. Yokogawa's initial project with Shell in the Gulf of Mexico began in 2006. The integration of the Yokogawa CENTUM VP Basic Process Control System (BPCS) and the SIL3-certified (TUV) ProSafe-RS Safety Instrumented System (SIS) was one of the main value propositions in their offering to Shell, along with the robustness and reliability of the Yokogawa equipment. The dynamics of executing a deep-water project of this magnitude required a flexible project execution model in order to remain off critical path. Yokogawa was able to utilize the knowledge gained from past projects to develop an integrated team approach for working alongside Shell's diverse project team. A collaborative and integrated team approach based on Shell's philosophy was a major driving force over the course of the project. There were ongoing challenges between Shell's engineering teams and Yokogawa's project teams during the define project phase. Adapting and being flexible to the other constraints of the project helped keep the project off the critical path. Maintaining a project core team through most of the project helped to ensure consistency across the different phases of the project. Personnel from Shell operations were also an integral part of the team during the early stages that provided key insights on the network and architecture design, cabinet layout, operational constraints, HMI and application programming, control narrative clarifications, and testing validation. The collaboration between the two companies helped deliver the control system against a tight compressed scheduled. This integrated approach was a key success factor compared to the traditional project execution approach. The topsides and subsea control systems have traditionally been kept as separate projects, but design considerations required an integrated approach in this project. The topsides control systems project began just as the subsea control systems project was ramping up. Both projects were executed independently in parallel with constant communications and checkpoint tests for smooth integration. 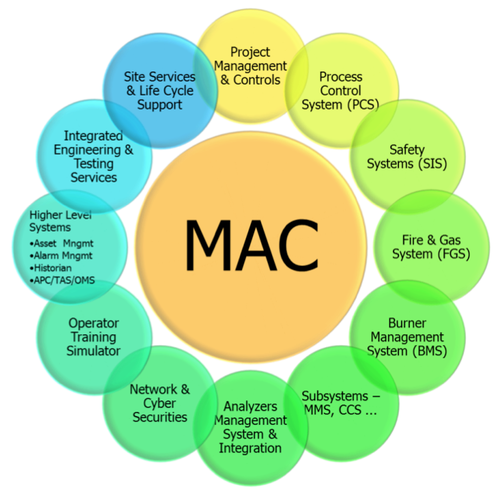 The final integration on the TLP went smoothly and resulted in a single integrated control system database for overall management of the Basic Process Control System (BPCS) and subsea Master Control Station (MCS), which has benefits in maintenance, system equalization, and a simplified architecture. FOUNDATION™ fieldbus instrumentation was used in most BPCS instrumentation due to its preemptive diagnostics functionality and asset management features. 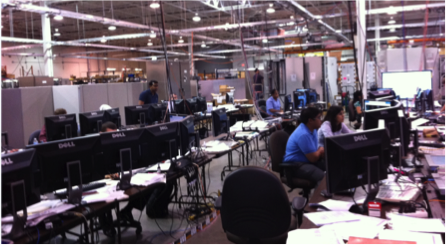 To reduce connectivity risks during commissioning, the team performed interoperability testing for each type of fieldbus device. This verified that all of the devices and configuration files would work seamlessly with the control system when the field instruments were all power up and connected. Once the field instruments were connected, the Plant Resource Manager (PRM) software was utilized to facilitate commissioning of all FOUNDATION fieldbus and HART instrumentation and also used troubleshoot diagnostics. A plug-in application was also used to capture base line valve signature profiles for future valve diagnostics. 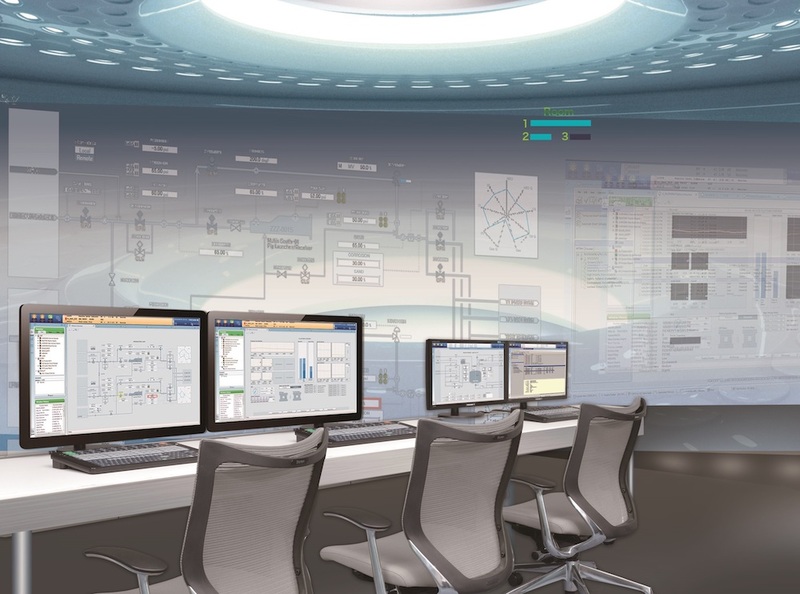 The Integrated Operations Center (IOC) at a Shell office in New Orleans has a remote control room (RCR) that is able to remotely monitor and control the TLP's control and safety systems. The IOC is part of Shell's philosophy of emphasizing the importance of fast decision making by having real-time access to operations data. This remote access capability also eliminates the need to travel out to the TLP to perform certain maintenance tasks. The RCR operator stations are all identical to those located in the platform's central control room. The first and second subsea wells were commissioned and brought online from the teams working out the RCR in New Orleans. The unit modular design of the Subsea MCS was developed by Yokogawa with support from Shell to overcome existing challenges faced on legacy projects. Some of the drivers were to integrate seamlessly with topsides, provide improved replication, reduce testing time, simplify the system architecture, facilitate easier troubleshooting, and improve overall performance. The Yokogawa MCS interfaces directly with the subsea vendor's equipment and is considered to be an integrated architecture. This integrated architecture reduces the amount of systems and databases needed previously on legacy partial-integrated systems. The subsea MCS was implemented using a Yokogawa CENTUM VP DCS controller, communication modules, and standard CENTUM VP built-in tools/functions. CENTUM VP SmartParts and unit instrument function blocks were the building blocks behind the unit modular design. These functions standardized the controls across all the subsea wells and instrumentation while tightly controlling any modification by using generic logic and locked templates. These factors will help to reduce the overall lifecycle cost and allow the end user to apply strict change management control. "The Yokogawa team did a great job. They were faced with a different set of project execution parameters than they were used to with Shell onshore projects. We tend to design-while-build, which is a challenge to any organization. The Yokogawa team worked with us in a very cooperative and collaborative spirit, which led to a very successful project delivery." "Looking back over the project execution, Yokogawa delivered on everything according to scope, schedule, budget and quality with a professional and collaborative team. The successful startup of the first production subsea production well solidifies the solution and team delivered one of Shell's major initiatives - Flawless Startup. We hope to continue the success while improving the integrated solution and delivery for our customers."